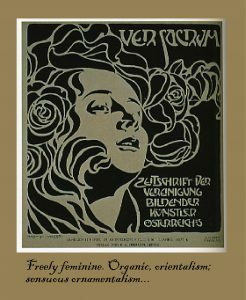 The font I decided to use is inspired by the classic French Art Nouveau. It is based on the works of Alphonse Mucha and the Paris signage of this era. 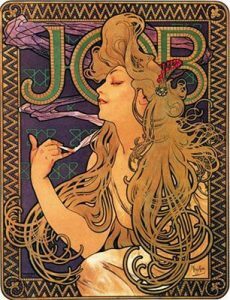 Alphonse Mucha’s JOB Cigarettes advertisement and inspired my composition and incorporates image and text in a flowing, curvilinear fashion. 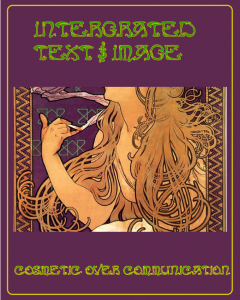 My text, “integrated text & image, cosmetic over communication” relates directly to the Art Nouveau ideal of beauty over all else. 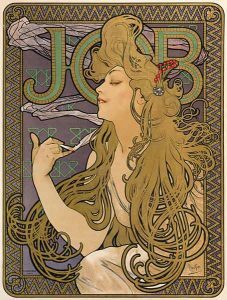 Through my composition, I depict this by highlighting the most detailed part of Mucha’s 1887 JOB Cigarettes advertisement and placing my text around it. I chose to do this to show the viewer the focus on the beautiful, curvy lines in the Art Nouveau style. 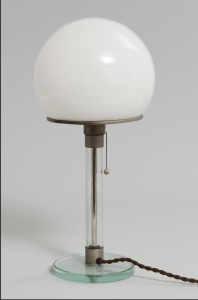 Futurists were inspired by the movement of machines and the beauty of speed. 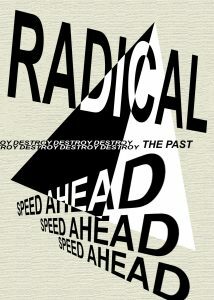 Futurism is about dynamism brought on by the inventions of faster transport, but it is also about violence and cleansing the world. 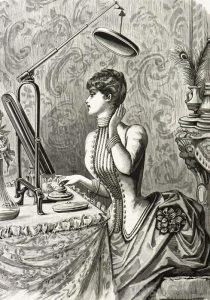 The futurists saw war as hygienic and wanted to obliterate the history of the past. I tried representing that through the words I choose and through the perspective warp of the text, showing it traveling forwards, towards the future. 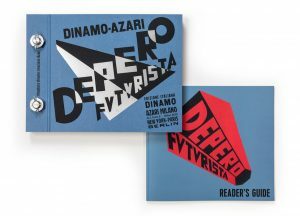 I was inspired by Zang Tumb Tumb and Depero Futurista. 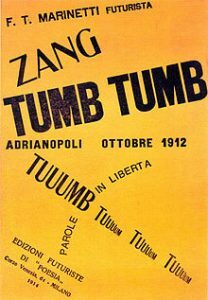 This poster is intended as a representation of Italian futurism. 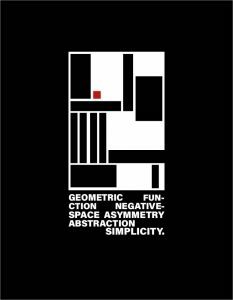 Through its distortion of a traditional grid, to its expressive representation of typography. The six words I used were; Technology, light, automation, speed, power, and, in the futurist style, a made up onomatopoeia “skra-kang-kang’ to truly encompass the style. 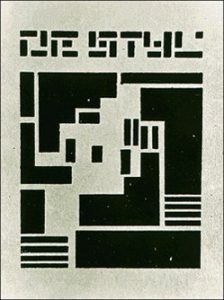 This image was heavily influenced by Filippo Marinetti, as well as more modern speculations from Sean Hall’s Futurism booklet. 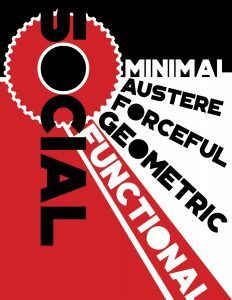 Through my simple use of colour, type, and line I hoped to get across the ideology behind this movement as well as I can. Elegant design, too expensive to make.